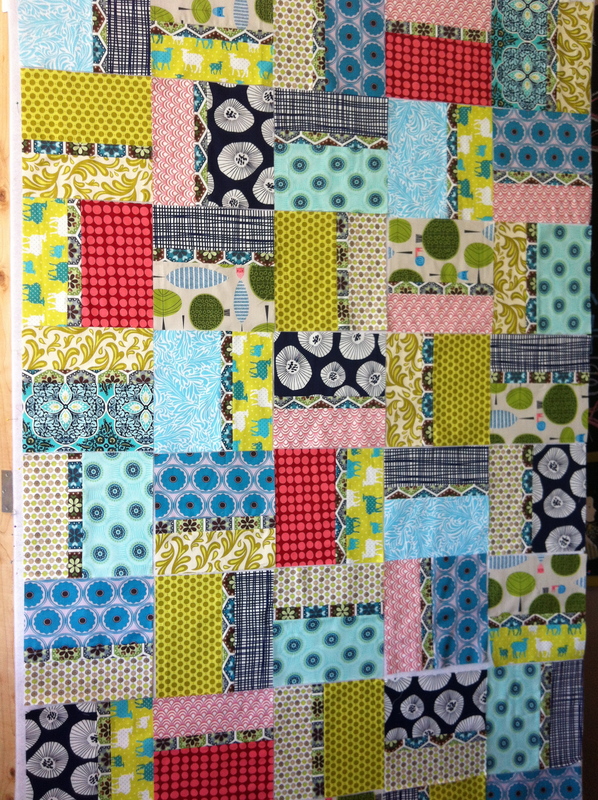 Three grand kids who have a lovely grandmother, will be receiving a twin sized quilt: one for each of them. Knowing that they are all built from the same DNA but hold individual personalities, we all agreed that the fabrics used in each one should relate but there should be a pop of uniqueness for each one. Here’s the first. I’ll let you peek in at more as the tops are sewn together. I love projects like this! !